An apartment that is shared by young professionals (20-35 years old) working for multinationals. The house is used by (in total of) three individual young professionals. The living room, bathroom and kitchen are common areas and shared by all. We are looking for another young professional to join us. 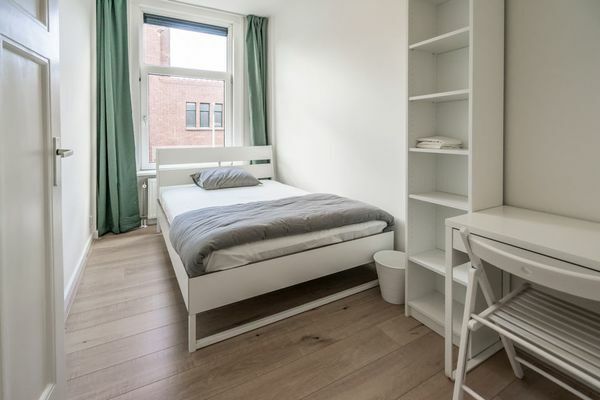 The available room is fully furnished, 9m2, rent is EUR 590,- per month and includes an advance payment for g/w/e and internet. The room will be available as of today. We charge a service fee of € 149,- this includes new bed linen and an end-cleaning. Deposit is € 1.000,-. Registration is possible. Zoek je een geschikte school in de buurt van de Deimanstraat in Den Haag?